U.S. Sen. Marco Rubio came to the aid of his fellow Republican Gov. Rick Scott Friday declaring that the vote-counting and transparancy problems at the Broward County Supervisor of Elections office is putting the integrity of Florida’s U.S. Senate election on the line. He spent most of his remarks criticising Broward Supervisor of Elections Brenda Snipes for not being open about why her office is so late in reporting and counting votes that should have been tabulated on Tuesday, and for refusing to tell anyone why, or how many votes are at issue. Still, Florida’s junior Senator, who stayed out of this year’s election between Scott and Democratic U.S. Sen. Bill Nelson until just the past week or so, said the pattern he’s seen of Snipes’ activities, the stories he’s heard about incidents this week, and her refusal to date to provide information leads him to believe that “the whole thing” concerns him. He didn’t explicitly say whether the whole thing includes questioning the validity of any votes in Snipes’ possession, but he did imply it. “The issue here is why is it taking them so long to count the votes and where are they getting them from?” Rubio said. Some of that information is expected to be revealed after 7 p.m. if Snipes meets a court order, brought through a lawsuit from Scott’s campaign, to disclose information. 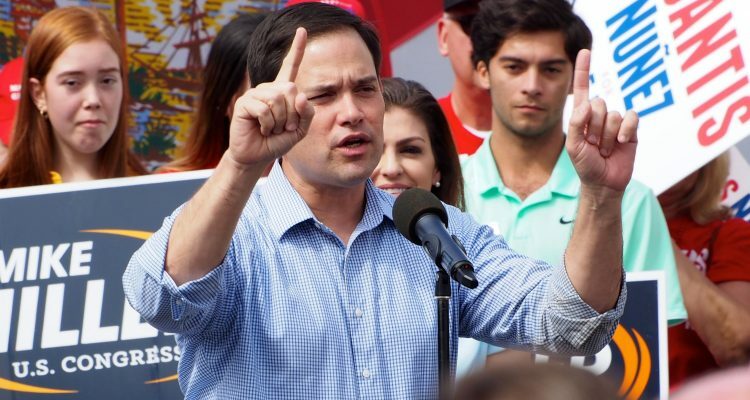 Rubio was joined by attorney Tim Cerio of GrayRobinson, one of the lawyers working on the Scott campaign, who described incidents he saw of Snipes refusing to turn over ballots to the county’s canvassing board, of voters coming in to vouch for provisional ballots and being given false information, and of refusing to provide information. “This is a procedural reality,” Rubio said later. “At the end of the day the one thing our country uses to resolve policy disputes are elections. And if people start to doubt that elections are valid and credible, or that there are problems in the way they are processed and handled, then we’ve got big problems. “This is more than the outcome of the race. This is about public confidence in our election process. Doubts are being driven not by political gamesmanship, but by reality,” Rubio added.